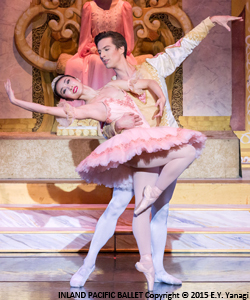 Critically acclaimed Inland Pacific Ballet's comes to life in this magnificent holiday ballet with dazzling sets, beautiful costumes, and more than 80 dancers on stage. This annual yuletide favorite tells the story of a young girl named Clara who receives a magical nutcracker doll on Christmas Eve, and sets out on a wondrous journey to the Land of the Snow and the Kingdom of Sweets. 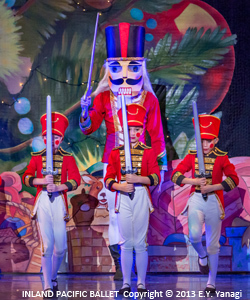 Toy soldiers, life-sized dancing dolls, and a fantastic dream with battling mice, dancing snowflakes, waltzing flowers, and the delightful Sugar Plum Fairy stir the imagination. 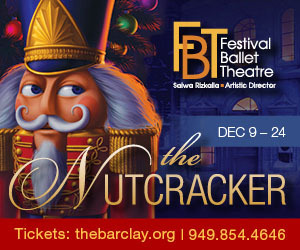 IPB's The Nutcracker is the holiday tradition your family will treasure!